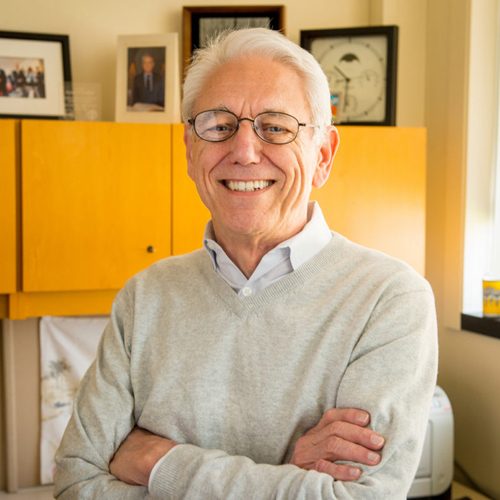 George Crabtree is Director of the UIC Energy Initiative and Distinguished Professor of Physics, Electrical, and Mechanical Engineering at University of Illinois at Chicago and Director, Joint Center for Energy Storage Research (JCESR) at Argonne National Laboratory. He has won numerous awards for his research, including the Kamerlingh Onnes Prize for his work on vortices in high temperature superconductors. This prestigious prize is awarded once every three years; Dr. Crabtree is its second recipient. He has won the University of Chicago Award for Distinguished Performance at Argonne twice, and the U.S. Department of Energy’s Award for Outstanding Scientific Accomplishment in Solid State Physics four times, a notable accomplishment. He has an R&D 100 Award for his pioneering development of Magnetic Flux Imaging Systems. He is a Fellow of the American Physical Society, a charter member of ISI’s Highly Cited Researchers in Physics, a member of the U.S. National Academy of Sciences and a Fellow of the American Academy of Arts and Sciences. Dr. Crabtree has served as Director of the Materials Science Division at Argonne, as Chairman of the Division of Condensed Matter of the American Physical Society, as a Founding Editor of the scientific journal Physica C, as Divisional Associate Editor of Physical Review Letters, as Chair of advisory committees for DOE and NSF research centers and as Editor of several review issues of Physica C devoted to superconductivity. He has published more than 400 papers in leading scientific journals, has collected over 16,000 career citations, and has given over 100 invited talks at national and international scientific conferences. His research interests include next generation battery materials, sustainable energy, energy policy, materials science, nanoscale superconductors and magnets, and highly correlated electrons in metals. He co-chaired the Undersecretary of Energy’s assessment of DOE’s Applied Energy Programs. He has testified before the U.S. Congress on the hydrogen economy and on meeting sustainable energy challenges.